AT THE CLOSE OF A YEAR that has yielded only fleeting moments of good news, consider pausing to enjoy something great, built to last, and newly finished this fall: Oregon College of Art and Craft’s new Jean Vollum Drawing, Painting, and Photography Building. If its craftsmanship, the way it shapes the winter light, or the artists buzzing inside don’t juice the urge to take a class in the new year, it may at least inspire you to move your desk next to the best window and start making a better 2011. 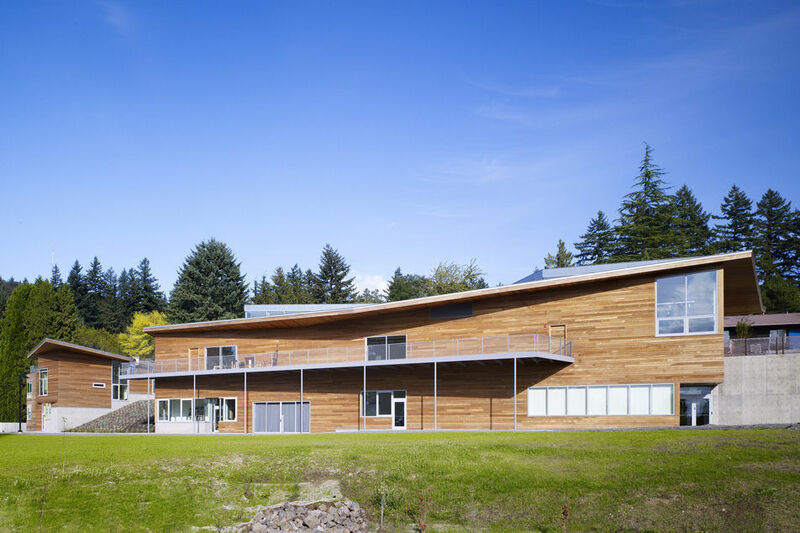 Designed by the Boston-based Charles Rose Architects, the $7 million structure is a rare Portland building designed by a great architect from elsewhere. And on that short list, it compares best to another landmark built to inspire: the Mt Angel Abbey Library, completed in St. Benedict, Oregon, in 1970, one of only two buildings in the US designed by the Finnish master Alvar Aalto. Coincidentally, both buildings happened courtesy of major gifts from Howard and Jean Vollum and their Tektronix fortune. (Read about another of their contributions on page 69.) But in both cases, the architects beautifully channeled the region’s landscape and light to encourage the tasks inside: the library for learning, the studio building for making art. Built for the monks (but open to the public), Aalto’s library unfolds with an expansive, semicircular room that stair-steps down the abbey’s hilltop in a series of tiers filled with book stacks and study tables, all naturally lit through the high, curving window above. The abbey’s breathtaking views of the Willamette Valley can be experienced only with effort—you have to stand up and walk over to the small windows at the end of the stacks, a kind of brief study break before you return to the life of the mind. With every detail, Aalto fashioned a calming invitation to think more expansively. Charles Rose’s studio building is, appropriately, all about energy. There’s scarcely a right angle. Walls, roofs, and even windows jut and fold, in, out, up, and down. The views here come in pieces. A long, linear window gracing the entrance hallway/gallery frames the angular plantings of grasses outside into an abstract mural. In the studio classrooms, high clerestory windows reach for the clouds, but dip just low enough to catch the tops of surrounding hills. Every corner is a carefully composed and crafted convergence of forces that turns the artmaking inside into a collaboration with the surroundings. I often end the year with a visit to the Mt Angel Abbey Library on my late-December birthday to let Aalto’s orchestration of space and light help me find my next horizon. Although far more modest in size and aim, Charles Rose’s design for the Vollum building has a similarly powerful effect, inviting you to rally your wits, feel the possibilities of the moment, and get on with adding something creative to the world.